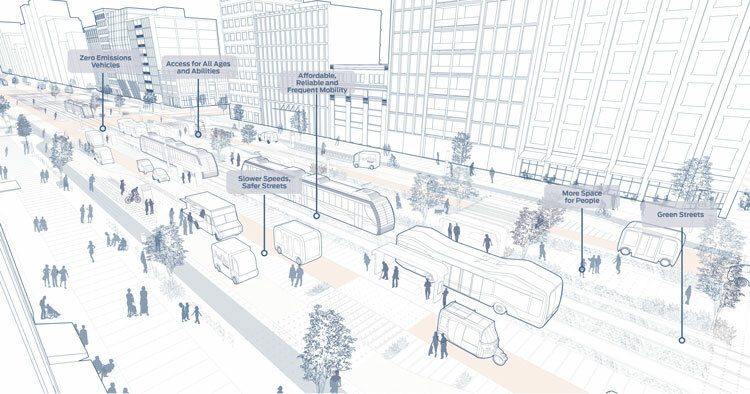 Chicago — The National Association of City Transportation Officials (NACTO) today released the Blueprint for Autonomous Urbanism, a first-of-its-kind street design vision to help cities worldwide prepare for the age of autonomous vehicles. Building on NACTO’s library of street design guidance, the Blueprint envisions a future where cities benefit from new transportation technologies to improve the public realm and build streets that work for people, rather than merely redesigning streets to accommodate emerging technologies. View and print the Blueprint for Autonomous Urbanism at https://nacto.org/blueprint.